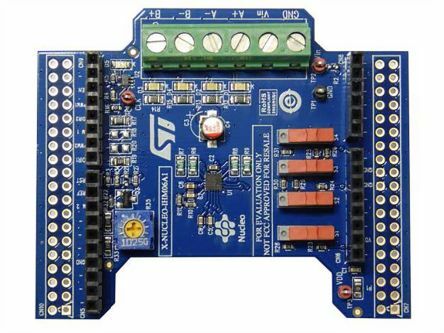 The ON Semi STK672-442BNGEVB evaluation board provides a simple way to test the functionality and performance of the STK672-442BN-E Stepper Motor Driver (RS 791-9689). 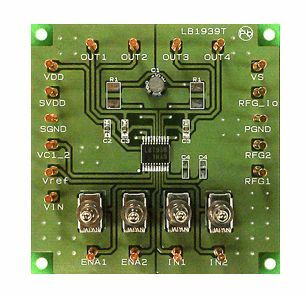 The IC is a unipolar, 2-phase stepper motor driver with PWM control and includes a microstepping controller. 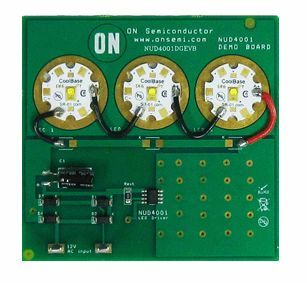 It supports 5 excitation methods: 2-phase, 1-2 phase, W1-2 phase, 2W1-2 phase and 4W1-2 phase. It also provides control of the basic stepping angle of the motor divided into 1/16 step units.